Make the most of your visit by combining two of the most popular tours in Spain. Visit Toledo and Segovia and admire the main attractions of these two cities. Delve into the UNESCO-listed beauty of Toledo, famed for the Monastery of San Juan de los Reyes and its Jewish Quarter, and explore the medieval city of Segovia. The next day, explore one of the most memorable castles in Europe: the Royal Palace of Madrid. The city of Toledo, known by many as the second Rome, was declared a World Heritage Site by UNESCO. During your tour you will enjoy a panoramic visit of the Cathedral of Toledo, Mirador del Valle, The Monastery of San Juan de los Reyes and Puente de San Martin. In Segovia you will get to know the aqueduct, the Alcazar and the Cathedral of Segovia. At the Alcazar, you will have an hour to visit the lounges, then free time to walk through the streets of Segovia before getting back to the bus. The aqueduct was about 15 km long and supplies water near the actual marsh of Revega. The Azoguejo Square is the best known and best preserved area. 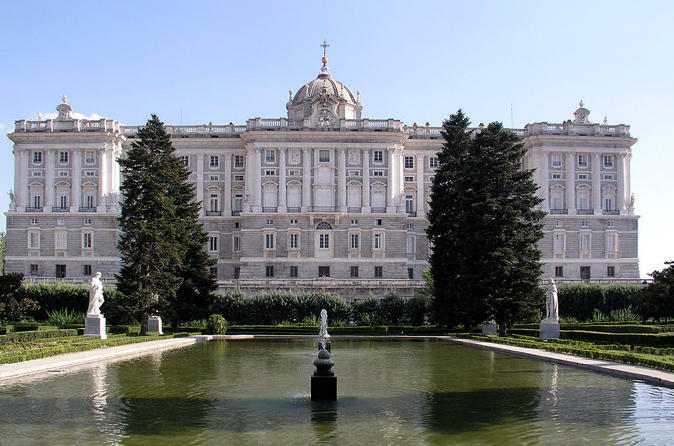 The next day, visit the Royal Palace of Madrid, which used to be the official residence of the Spanish Royal Family. Nowadays, it’s used exclusively for receptions, ceremonies and official events. The Royal Palace is also called Palacio de Oriente, due to its close proximity to “Plaza de Oriente” square, on the east (Oriental) side of the palace. - Official Lounges: Grandiose, well preserved and stylish, each room has its own personality. - Royal Armouries: Armors, shields and weapons of all kinds are one of the most important collections in the world. - Royal Pharmacy: Hundreds of bottles of different shapes and sizes that will make you go back in time. It houses the best recreation laboratory. - The grounds of Campo del Moro, which were not gardened before, since it was impossible to connect with the Royal Palace, located on much higher ground. There is not transportation for the Royal Palace tour. Special Offer - Book this tour and save 18% compared to booking each attraction separately! - Book Now!